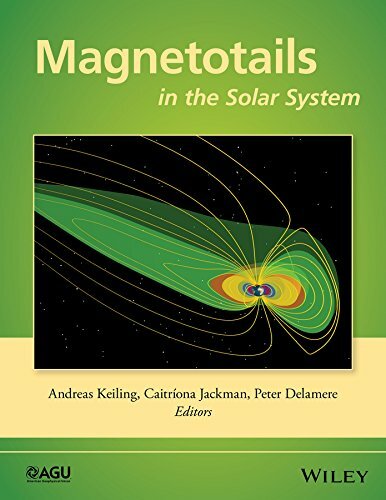 conditions, planetary rotation rates, ionospheric conductivity, and physical dimensions provide an outstanding opportunity to extend our understanding of the influence of these factors on magnetotail processes and structure. Volume highlights include: A discussion of why a magnetotail is a fundamental issue in magnetospheric physics A unique collection of tutorials that cover a large range of magnetotails in our solar system A comparative approach to magnetotail phenomena, including reconnection, current sheet, rotation rate, plasmoids, and flux robes A review of global simulation studies of the effect of ionospheric outflow on the magnetosphere-ionosphere system dynamics Magnetotails in the Solar System brings together for the first time in one book a collection of tutorials and current developments addressing different types of magnetotails. As a result, this book will appeal to a broad community of space scientists and be of interest to astronomers who are looking at tail-like structures beyond our solar system.